« GISCafe Attends Esri Federal User Conference in Washington, D.C.
Part of the “open” is due to the fact that there is a lot of data to be mined from sources outside the government, and that the need for agencies to work together to solve critical problems has become greater than ever. 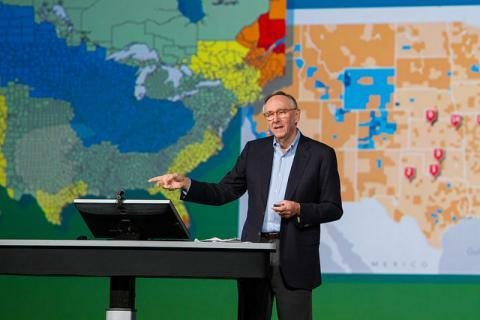 President and CEO Jack Dangermond kicked off the 19th Esri Federal User Conference plenary with a tribute to those that use GIS for government work, with every level of government represented at the conference. The implementation of GIS is more agile these days, said Jack. 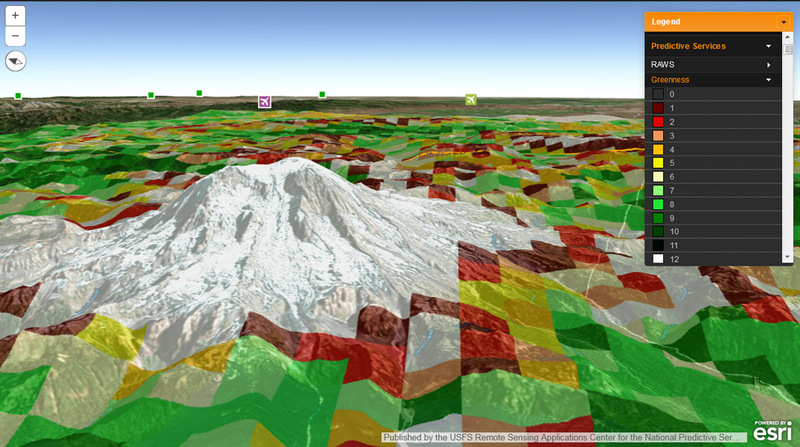 WebGIS is transforming GIS – as it has evolved from systems of record to system of engagement. Systems of record are about updating the database. Systems of engagement have more to do with social media type systems, connectedness, the ability to get content in real time, sharing and allowing others to share what was shared. The geoinformation model abstracts and represents data as a webmap without copying or integrating it into one big database. This is done with REST, instead of as a database centric approach. “I can access the weather service, or internet of things, access imagery data, enterprise data. What this means is we can bring data in from many agencies and access and work with it,” said Jack. For the last seven years, Esri has been building thousands of layers of information in the cloud, many of which are from the government. There are now billions of views per week. Over 2 million people subscribe to this information. Those who are building datasets are influencing users around the world. In the desktop world, SciPy.org and R are integrating more analysis tools. The desktop analytic tools overlaying from distributed datasets is now possible off the desktop. 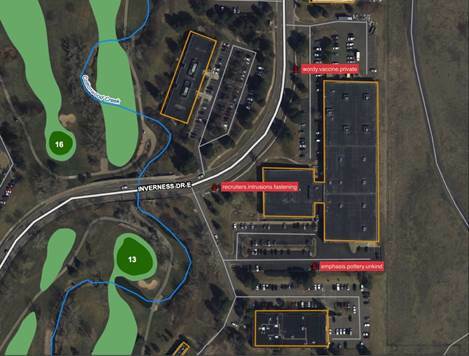 Esri entered into a partnership with Vricon, a provider of photorealistic 3D mapping products and digital elevation models for the defense and security industries. This partnership will allow ArcGIS users to access Vricon’s 3D and digital elevation model products. Geoanalytics and visualization of massive data can be processed in Hadoop or Elastic Search, allowing spatial operators to handle billions of observations, an aggregated layer of a million records. 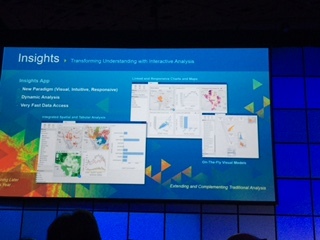 Geoanalytics will be a new spatial analytics extension that allows you to run aggregations to explore patterns. You can run bigger jobs than ever before. In addition, geoanalytics lets you ask space time questions that you’ve not been able to do before in multi-dimensional real time spatial analysis. Suzanne Foss talked about integrating sensor networks and IoT and bringing it into a GIS frame. GeoEvent Server deals with hundreds of thousands of observations per second. Because data comes at us constantly from different sources, GeoEvent was redesigned from ArcGIS Event Manager. Using a cluster of 5 machines in the Amazon Cloud with GeoEvent running in Amazon, in the given example, GeoEvent captured almost 200 million flight patterns. You can configure your own GeoEvent maps to work with data on the fly, for example, everywhere a plane has flown in the last two weeks. Configuring statistics opens opportunities for forensics. By combining flight data with weather data, you can see how pilots changed flight patterns to fly around storm cells. ArcGIS is a single integrated platform, but from an engineering perspective it is a single open platform, that can be extended, embedded and built on top of. Esri has about 40 people building open source solutions in GitHub for users and developers who wish to extend their basic tools, and they will do more this year. These are fully supported apps that you can configure and load and go with. The desktop is going through transformation and will focus on two basic apps: ArcMap and ArcGIS Pro. James Sullivan talked about ArcGIS Pro 1.2, which allows multi dimensioning mapping for your 2D and 3D data. ArcGIS Server can be federated, and when this happens, layers, maps scenes will rise up to a higher portal. This will be in the next version. ArcGIS Online provides cloud based GIS and improved search and additional analytics that will be coming this summer. During Hurricane Sandy, data was collected along the east coast. For Hurricane Joaquin, sensors collected crucial information about real time flooding information – showing locations, sensor types and data. The USGS partnered with FEMA that assists in flood response. They were able to get data and the story behind the science by using Story Maps. With the HIFLD, Homeland Security is now delivering open and secure data. HIFLD has 250 datasets, and up to date, downloadable files available to the public. “This is a significant change if you can see how Homeland Security has changed over the past 15 years since 9/11,” said special guest presenter, David Alexander from the U.S. Department of Homeland Security. This mission requires a whole national approach, navigating between open and secure information, querying, which of our critical infrastructure data can we make open? And what must remain secure and not open? “We cannot protect everything ourselves,” said Alexander. The Boston Marathon Bombing made the agency recognize their approach requires new types of engagement. How do I access it and share this data? Through services, so developers can use it and make sure their apps are up to date. Another core mission is infrastructure protection. HFLID has collected fuel station data for the entire country. DHS private sector partners can use this data for resiliency and economics. Providing open trust on authoritative data is fundamental, said Alexander. HIFLD data is discoverable and accessible from anywhere. “We can empower citizens and communities to support local law enforcement and private sector and homeland security, building a transparent and collaborative ecosystem for sharing across the nation,” said Alexander. Other technology announcements made around the conference included Esri’s release of World Geocoder for ArcGIS, which enables users to securely map global addresses behind a firewall so that sensitive data is not exposed. The web GIS application Fire Globe, from the National Interagency Fire Center (NIFC) has been transferred to the Esri platform. 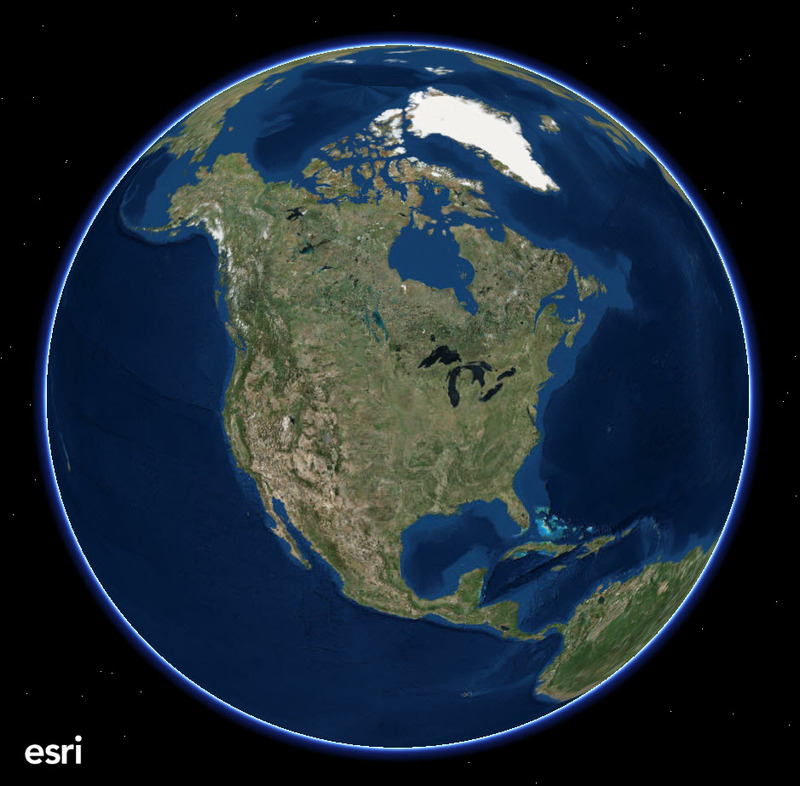 Fire Globe is part of NIFC’s GIS, Fire Enterprise Geospatial Portal (fire EGP), which also operates on the Esri platform. Lastly, more partner news: what3words announced that it will provide its 3 word address and location reference system to ArcGIS Marketplace. The Marketplace allows ArcGIS users to search, get apps and discover content from qualified providers. what3words is based on a global grid of 57 trillion squares of 3mx3m; each square has a unique pre-assigned 3 word address, making addressing infinitely easier. The product is being used in over 170 countries and within the ArcGIS platforms of Esri partners Tensing, York County, Emu Analytics, OBB and Meteom911. This entry was posted on Thursday, February 25th, 2016 at 1:42 pm. You can follow any responses to this entry through the RSS 2.0 feed. You can leave a response, or trackback from your own site.